A case was registered against Dr Gupta for allegedly committing financial irregularities to the tune of Rs 50 crore when he was superintendent of DKS Post Graduate Institute and Research Centre, Raipur. Raipur: Police raided a hospital run by Dr Puneet Gupta, son-in-law of former Chhattisgarh Chief Minister Raman Singh, in a case of alleged financial irregularities during Gupta’s tenure as superintendent of a state-run hospital. 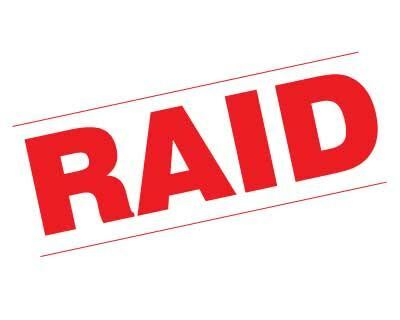 Documents related to the case were recovered during the raid at GBG Kidney Care Hospital in Rajendra Nagar area in the city, said Raipur Superintendent of Police Arif Sheikh. The Medical Dialogues team had earlier reported that the was booked for allegedly committing financial irregularities to the tune of Rs 50 crore during his tenure as the Medical Superintendent of the state-run DKS Post Graduate Institute and Research Centre, Raipur. Gupta was booked for forgery and cheating based on a complaint by the incumbent superintendent of DKS Post Graduate Institute and Research Centre Raipur (or DKS Hospital or PGI Raipur), Kamal Kishore Sahare, at the Golebazar police station, Raipur Additional Superintendent of Police Praful Thakur told PTI. In his complaint, Sahare alleged that during his tenure as the superintendent of the centre, Gupta and others had committed financial irregularities to the tune of Rs 50 crore and caused a huge loss to the state exchequer, he said. The government had received complaints pertaining to appointment against rules in the hospital, following which an inquiry committee was constituted, Thakur said, quoting the complaint.